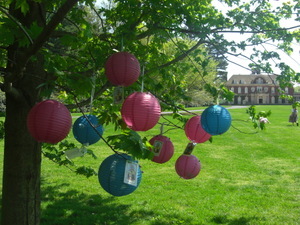 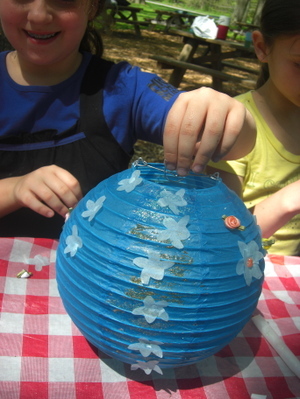 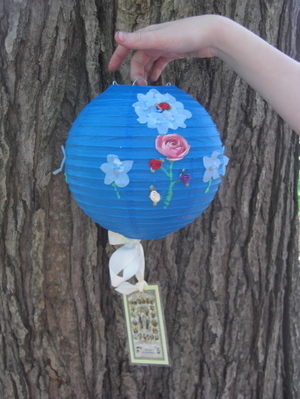 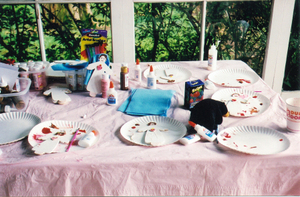 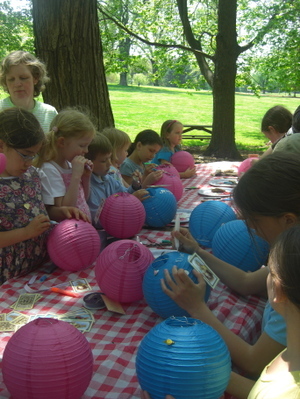 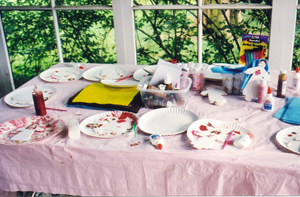 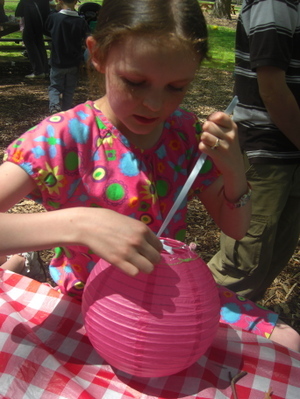 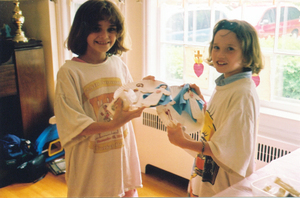 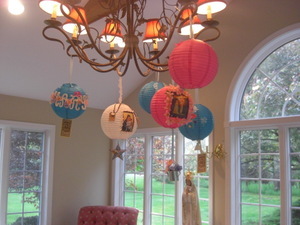 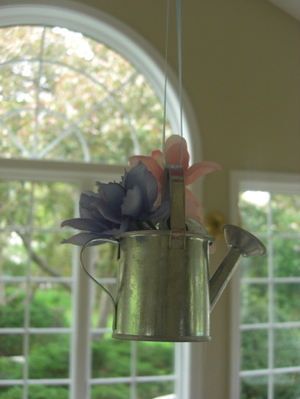 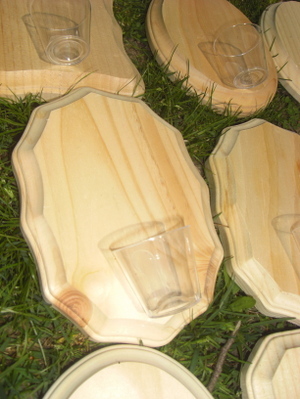 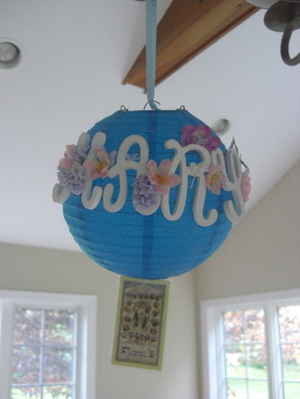 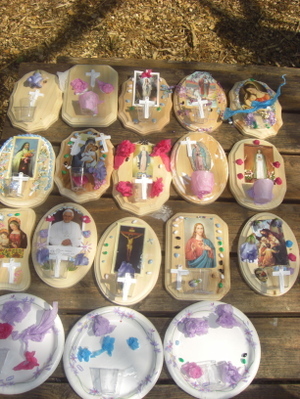 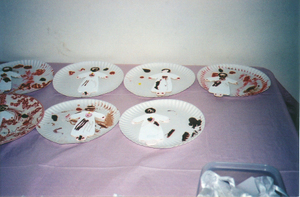 Recently, I stumbled upon these pictures of a craft I prepared for the girls and their friends back in May of 2002. 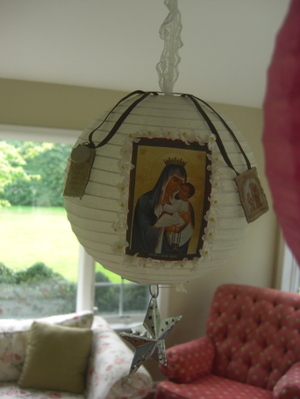 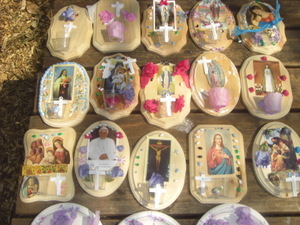 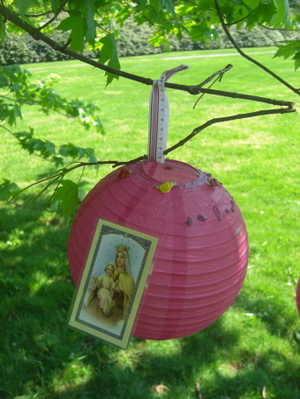 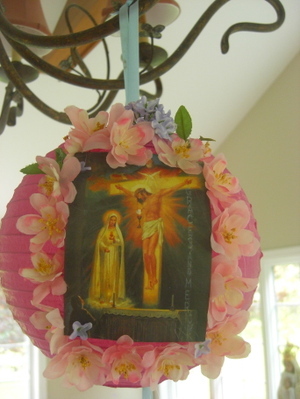 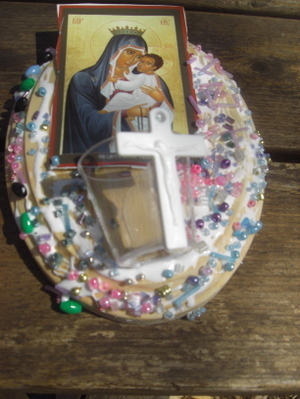 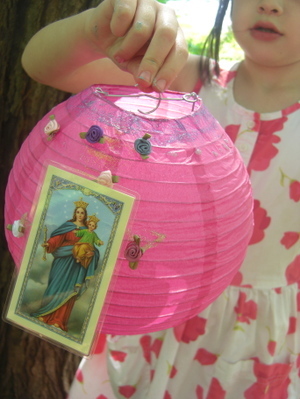 Wooden "Sacred and Immaculate Heart dolls" are easy to make. 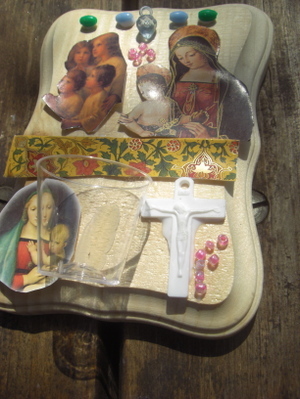 Begin with wooden cutouts of gingerbread girl shapes, small wooden hearts, glue, paint, and—for the Blessed Mother dolls—blue squares of felt. 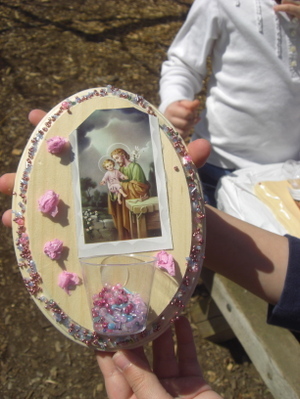 June is the month of the Sacred Heart, and these dolls would make a pleasant craft to celebrate the beginning of summer! 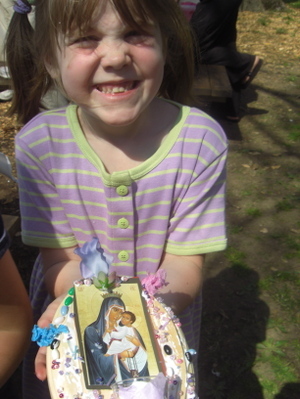 particularly those of the children of our homeschooling group. 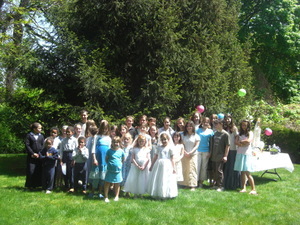 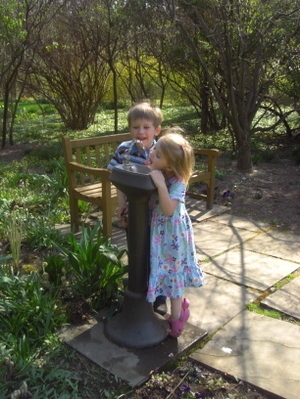 Here are perhaps a little more than half the children who attended our annual May Crowning yesterday. 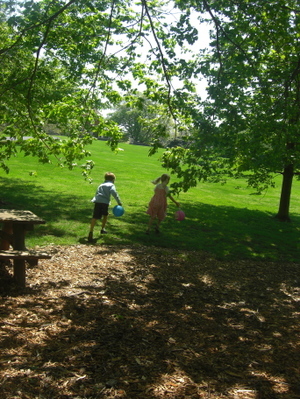 By the time this group shot was taken, most of the others had already skipped off to the swings, scooters, and snack tables. 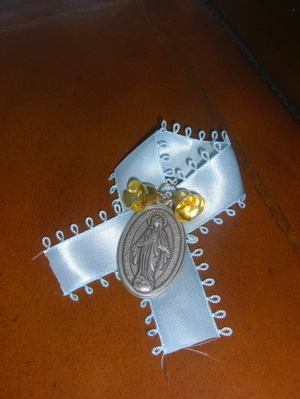 As usual, blue was the color of the day. 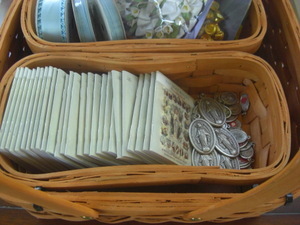 Before the guests arrived, I stockpiled a basket full of medals, cards and books for the children. 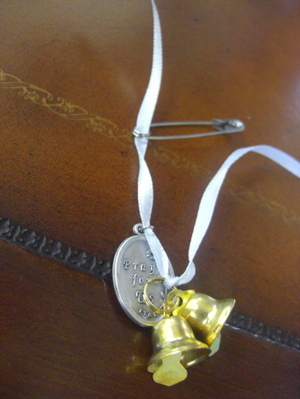 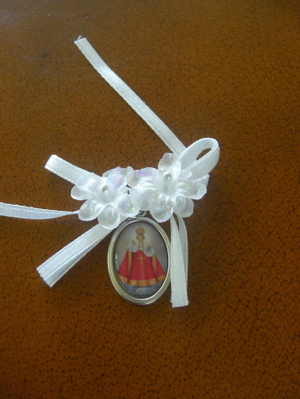 The ribbons and medals were part of a simple craft planned for the children--beribboned medals to wear to the crowning. 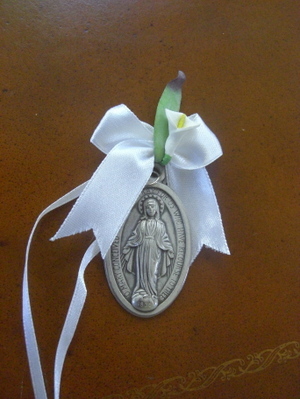 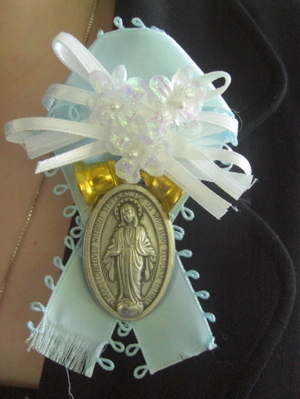 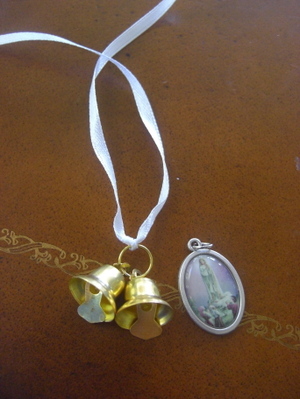 Browsing the craft store, I found favor ties meant for weddings and thought they would be perfect for making wearable pins, particularly because the lilies, white flowers and bells (reminding me of the Bell's of St. Mary's) are so perfect for Our Lady. 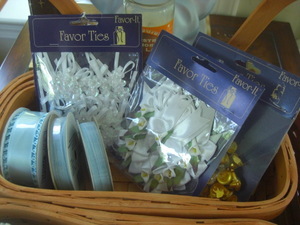 When crafting for a crowd, it helps to save precious time, and favor ties meant less cutting and measuring of ribbon. 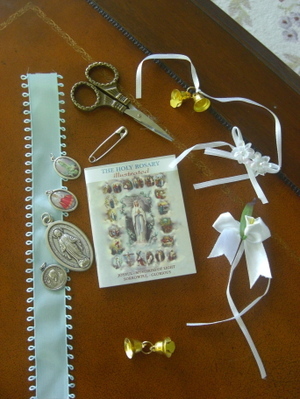 Here is one of the gorgeous little rosary books I picked up for the children--small enough to fit in the palm of your hand, but featuring full color illustrations of all four mysteries (yes, even the Luminous). 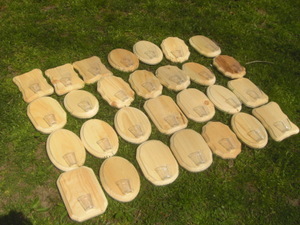 These books will need to wait a bit though--in the hustle and bustle of the day's events, I forgot to give them out! 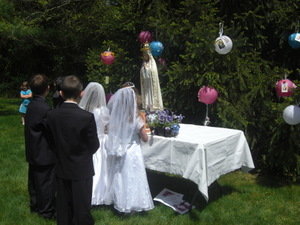 We began the Crowning with a procession led by the first communicants, followed by all the children. 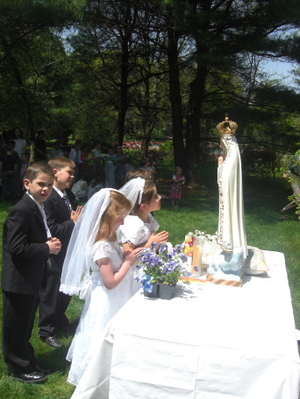 Our music--including Queen of the Holy Rosary, Regina Coeli, Bring Flow'rs of the Fairest, Hail Holy Queen Enthroned Above and others were led by the girls from Our Lady of the Angels Choir under the direction of Miss Lynn Wilson. 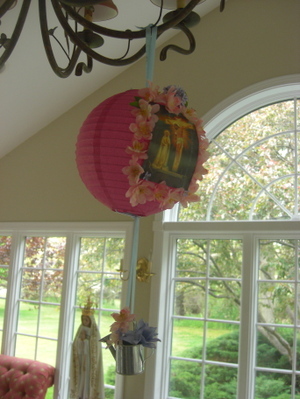 (I am proud to say that Agnes and Theresa are members.) 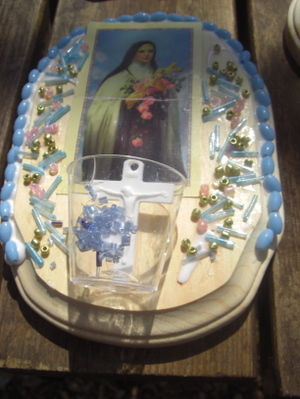 We said the rosary according to the method of St. Louis de Montfort. 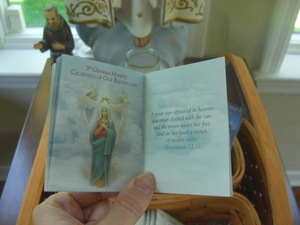 [From the appendix of True Devotion to Mary, Montfort Publications.] 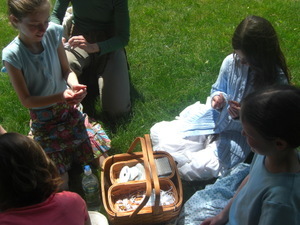 I had originally hoped to fill a basket with the petitions of all our group members, but this is another of those things that was lost in the shuffle of a busy day. 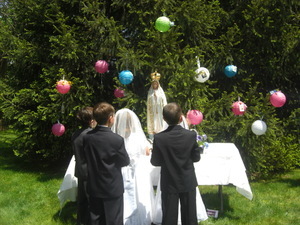 The sight of first communicants in May makes my heart sing--how well I remember being among the joyful first communicants processing into the school yard of St. Mary's School many, many years ago. 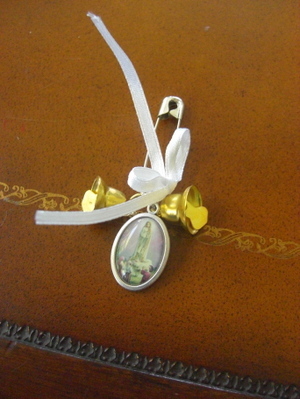 We too sang "Bring Flowers of the Fairest." 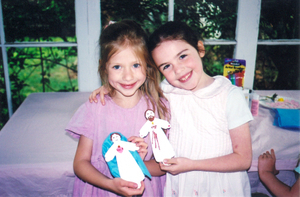 The Catholic Faith is the stuff of beautiful memories. 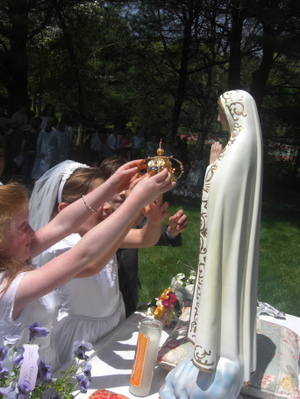 And how much do you love this picture of our gorgeous first communicants with Heather's daughter Lily smiling directly at the face of Our Blessed Mother?! 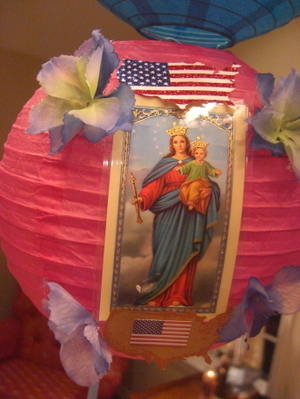 I have no doubt Our Lady is smiling right back! 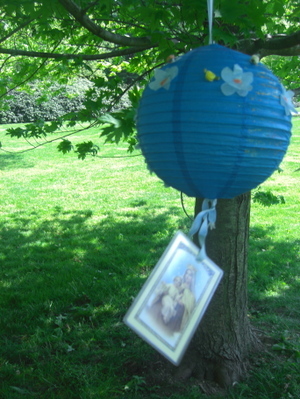 May the grace of the mystery of the Coronation of the Blessed Mother, Queen of Heaven and Earth, come down into our hearts. 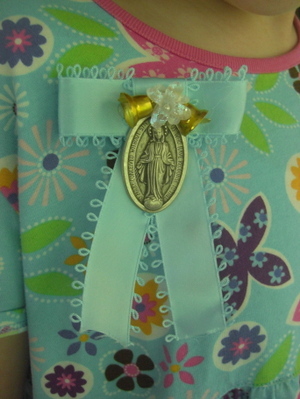 May Crowning trivia: Our three first communicants banner image was taken during last year's crowning.